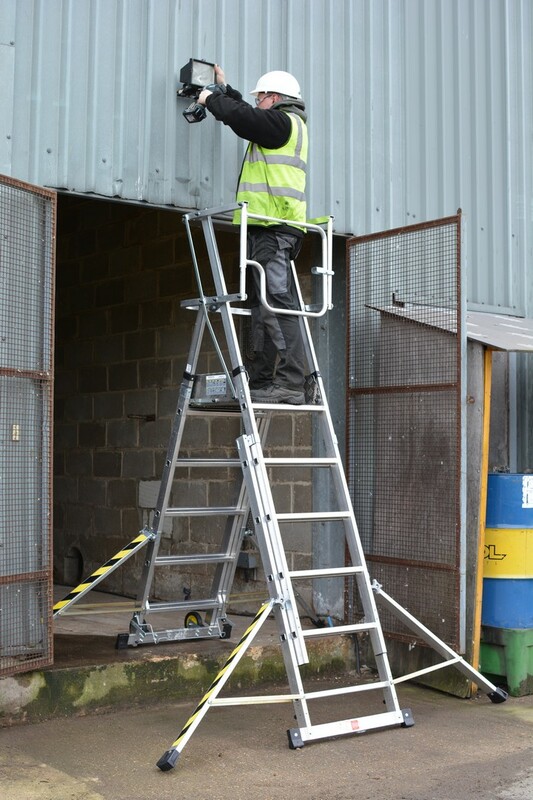 The Teleguard Ladder is the ultimate telescopic platform ladder that can be used in flat slab or stairways mode. It has simple height adjustment rung by rung, a double guardrail and positive locking gate. It also includes a deep and draining tool tray, deck lock clip (auto lock) and tough wheels for easy movement around site.